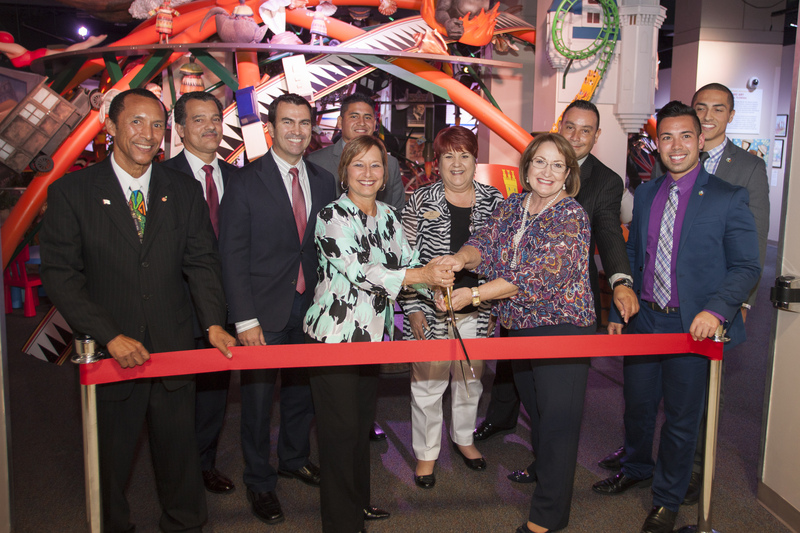 The Hispanic Heritage Committee of Greater Orange County (HHCGOC) and Orange County Mayor Teresa Jacobs hosted a cultural celebration at the Orange County Regional History Center to kick off Hispanic Heritage Month on Sept. 16. Hispanic Heritage Month honors the culture and traditions of Latinos throughout Central Florida and the United States and is celebrated annually from Sept. 15 through Oct. 15. “It is truly an honor to gather every year to celebrate our Hispanic community and their tremendous contributions to Central Florida and the United States,” Mayor Jacobs said. The kick-off celebration took place at the History Center’s Linda Chapin Gallery and featured traditional music and dance performances, delicious food and the unveiling of a new art exhibit. Orange County’s Board of County Commissioners (BCC) officially commemorated Hispanic Heritage Month with a proclamation at the BCC meeting on Sept. 13 in conjunction with the HHCGOC, a volunteer-based organization founded in 1999 with the purpose of providing opportunities that promote and highlight the contributions made by individuals of Hispanic descent in our community. HHCGOC proudly hosts several events annually in collaboration with Orange County Government and Orange County Parks and Recreation. All events are free, family friendly and open to the public. In partnership with the HHCGOC, Orange County’s History Center unveiled a new exhibit, which features Hispanic-inspired artwork designed primarily by local artists of Hispanic descent, including Iris Torres Mora, whose acrylic painting “Frida” portrays the famed Mexican painter Frida Kahlo. In addition to the exhibit at the Orange County Regional History Center, a photo collection by local photographer AJ Gonzalez is on display in the Orange County Government Administration Center’s atrium. The collection features photography that highlights Cuba and the island’s culture. Both exhibits will be on display through October. To continue the celebration of Hispanic Heritage Month and Orange County’s diversity, the HHCGOC will host Orange Fiesta in the Park on Oct. 15 from 11 a.m. to 2 p.m. The family-friendly event will be held at Jay Blanchard Park, 2451 N. Dean Road. This festive outdoor event will feature live musical performances, bounce houses, food trucks and the second annual Mayor’s Cup soccer tournament championship games. Youth teams, comprised of players ages 7 through 12, began competing in a series of matches Sept. 11 and tournament finalists will compete to win at Orange Fiesta in the Park. Soccer fans will be able to meet and interact with players from the Orlando City Soccer Club and the Orlando Pride as they present the championship trophies to our winning soccer teams. To views photos from the event, visit Mayor Jacobs’ Flickr album.